This semi-parasitic plant is locally common in coastal areas of the south west of England and also on the western coast of Ireland. It is also to be found throughout Europe and right down into the Mediterranean region but, again, mostly in coastal regions or occasionally in the margins of streams. 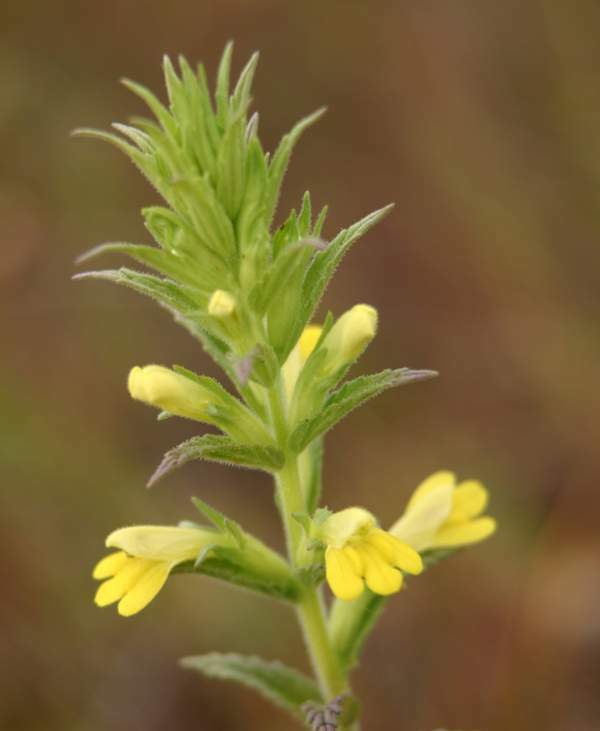 It is a member of the Figwort family (Scrophuliariaceae). 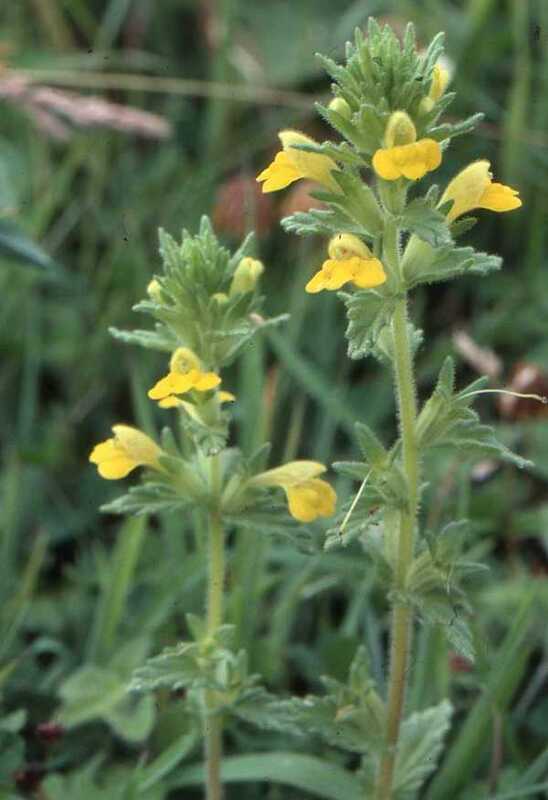 This pretty, yellow wildflower, which is declining in numbers in Britain, flowers in northern Europe from April and right through into July; however, in hotter southern Europe Yellow Bartsia is usually at its best in March and April.